It is no secret that retail-related businesses capture massive amounts of information through field reps using mobile data collection software. Mobile data collection software can help keep track of product and category availability, pricing, location, presentation, perception, and competition, among others. Therefore it is no surprise that this information is invaluable when it comes to planning and creating future marketing campaigns, and is proven to be decisive on a make-or-break scenario in an industry that deals with the slimmest of margins. 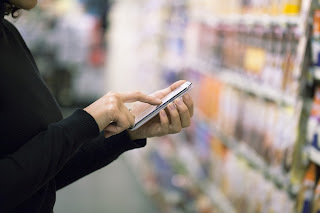 Recent developments in mobile data collection software, moreover, have brought retail mobile data collection to a new, higher level, where all information is interconnected and automatically accessible. It is now possible for a category manager in, let's say, Cleveland, to know immediately that an out-of-stock of one of his/her products has been detected by a field rep in Paris, France. State-of-the-art mobile data collection software makes it possible for automatic notifications of less-than-desirable retail situations that may negatively affect sales and, therefore, allows for an immediate action by stakeholders, with less time (and money) lost. Any retail-related business that still has not implemented a mobile data collection software solution should look immediately at the options available on the market. Ready to try the benefits of mobile data collection software? Sign up today at www.visitbasis.com for a free trial, or book a free online demo and let us show you how it works.